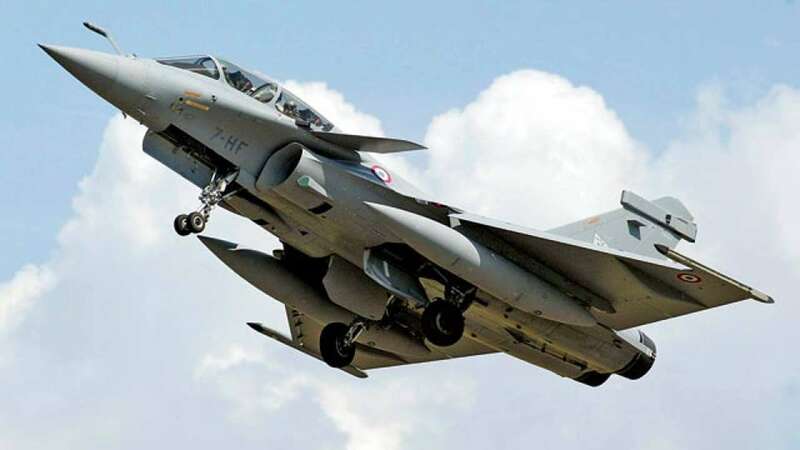 Feb 11 (AZINS) The government is scheduled to table the CAG report on Rafale jet fighter deal, which has generated a massive political controversy, in Parliament Tuesday, sources said. The CAG report will be tabled on Tuesday, a day before the end of the present Lok Sabha session. This is the last session of the 16th Lok Sabha as the general elections are due in April-May.Former minister and senior Congress leader Kapil Sibal on Sunday alleged conflict of interest and asked the Comptroller and Auditor General (CAG) Rajiv Mehrishi to recuse himself from auditing the deal as he was the finance secretary when the deal was negotiated. Union Minister Arun Jaitley, however, rebutted the claims of Sibal saying that the Congress was casting aspersions on the institution of CAG based on "falsehood". "Another attack on the institution of CAG by the 'Institution wreckers' based on falsehood. After ten years in Government former UPA ministers still don't know that Finance Secretary is only a designation given to the senior most secretary in the finance ministry," Jaitley said a series of tweets Sunday. Sibal said Mehrishi was the finance secretary from October 24, 2014 to August 30, 2015 and in between Prime Minister Narendra Modi went to Paris on April 10, 2015 and announced the signing of the Rafale deal. "...Finance Ministry plays an important role in these negotiations...Now it is clear that the Rafale deal happened under Rajiv Mehrishi. Now he is CAG. We met him twice on September 19 and October 4, 2018. We told him about the scam. We told him that the deal should be probed because it is corrupt. But how can he initiate a probe against himself," Sibal had said. The Rafale issue was even raised before the Supreme Court, which did not find any substance in the allegations.However, the issue has continued to rock Parliament with Congress President Rahul Gandhi directly accusing the Prime Minister of benefiting his corporate friend Anil Ambani. Mehrishi joined Department of Economic Affairs as Secretary on October 31, 2014 and being the senior most Secretary among the five Secretaries he was designated as the Finance Secretary on November 11, 2014, an official statement said.He continued as Secretary (Economic Affairs) and Finance Secretary till August 31, 2015 when he demitted the office. "It is a matter of convention that the senior most Secretary is designated as Finance Secretary and while he assumes a co-ordination role, he continues as Secretary of his own Department," it said.It is pertinent to point-out here that it is the Department of Expenditure, Ministry of Finance which deals with financial sanctions relating to all the ministries of the government and in that capacity, any files relating to defence procurement would be dealt with by the Secretary, Department of Expenditure and not by Mehrishi as Economic Affairs Secretary, the ministry added. "To claim that Secretary (Economic Affairs) as Finance Secretary would have dealt with the expenditure proposals from the Ministry of Defence is totally a figment of imagination and stretch of facts," as per the statement.The Congress on Sunday alleged that the government compromised "national interest" and "national security" in the purchase of the 36 aircraft and said the CAG has a constitutional and statutory duty to undertake a forensic audit of all defence contracts, including the Rafale deal. Soon after this, Union Minister Arun Jaitley had in a series of tweets said after ten years in government, former UPA ministers still don't know that Finance Secretary is only a designation given to the senior most secretary in the finance ministry. "Secretary (Economic affairs) has no role in expenditure files of the Defence ministry," he tweeted.He termed the allegation made by the Congress on Mehrishi as another attack on the institution of CAG by the Institution wreckers' based on falsehood.